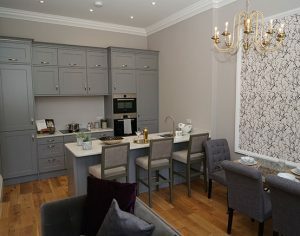 Wyndham Grange Melton Mowbray consists of a mixture of well appointed semi-detached and detached new build dwellings and high specification apartments, which are located in the listed lodge building and coach-houses. 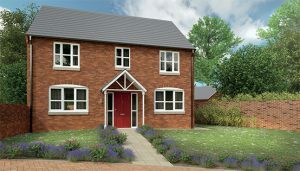 Surrounding the homes at Wyndham Grange Melton Mowbray is 5 acres of beautifully maintained parkland. The site has been very sympathetically designed to enable as many residents as possible to take in views of the established trees and grassed areas. 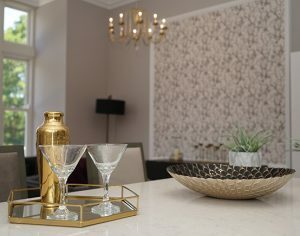 Each and every home at Wyndham Grange Melton Mowbray has been built with today’s modern lifestyles in mind. 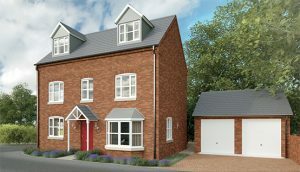 There are homes for those wishing to step onto the property ladder for the first time, as well as large detached family homes, perfect for those looking for more room to accommodate their growing family. 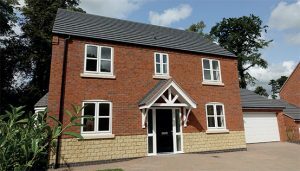 The design and layout of the homes at Wyndham Grange Melton Mowbray also takes into account what is expected of a home in the 21st century. 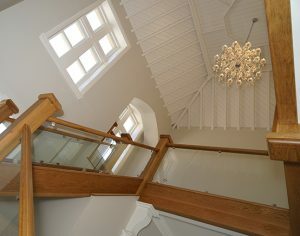 Some of the larger detached homes for example have rooms which are multi functional and could be used as a home office or playroom. 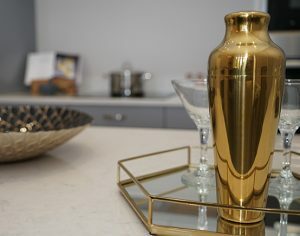 The apartments offer a lock up and go lifestyle for older residents who might be wanting to spend some of their retirement in the sun or younger residents who are taken away from home for work. Whatever your requirements we are sure that Wyndham Grange has something to offer everyone. The converted lodge building, which sits at the top of the hill, was originally known as Hill House and is reputed to be the first house built south of the river Eye. Built during the reign of the legendary King George III by Mr Hind, a retired dealer in leather, later, in 1828, it was leased to the Earl and Countess of Chesterfield. Around 1840, Colonel Charles Wyndham took up residency and renamed the house Wyndham Lodge. Wyndham had a career in the military and in 1852 he was appointed to the prestigious position of Governor of the Tower of London and at the same time gaining the heady rank of General. It was at this time that he gave up his local residence and left Melton Mowbray. Following a period of residence at the Lodge by Mr Bromley Davenport, MP for North Warwickshire, Wyndham Lodge was next leased to Mr William Augustus Chaplin. Chaplin set about demolishing the original building and constructed the building that we know today, constructed of stone quarried from the nearby village of Wartnaby. Chaplin and his family enjoyed Wyndham Lodge for the next 30 years. Following this numerous tenants enjoyed the lodge until the end of the devastating World War of 1914-18. In 1920 Colonel Richard Dalgleish bought Wyndham Lodge along with15 acres of land. He turned the lodge into a War Memorial Hospital which was opened by His Royal Highness Prince Henry on 19th January 1922. The lodge still had the remains of the hospital on show when it was taken over by Sowden Homes just a few years ago. 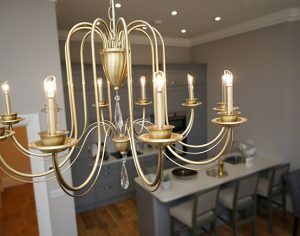 Sowden Homes have used the former hospital as a centre piece to the whole development and even took inspiration from its name for the development and the crest you see used on the site logo has been recreated from one which appears on the former lodge building. Melton Mowbray is a popular market town, situated in Leicestershire, which is built on a strong tradition of farming. 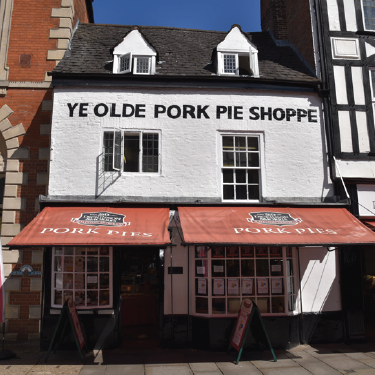 Famous for its pork pies and cheese, the town of Melton Mowbray is home to a fantastic number of food and drink festivals that take place throughout the year. 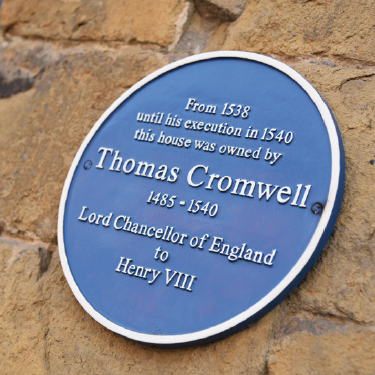 The town itself is steeped in history and there is a walking heritage trail that explains the heritage of the town – and two apps are available to make sure you don’t miss any of the sites of interest. 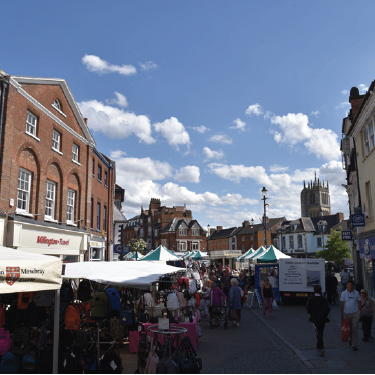 If you enjoy shopping you’ll be spoilt with the selection of markets that take place in the town. There is a popular street market, regular farmers market, cattle and livestock market and a well-renowned antiques market – all just waiting to be explored. In addition to all of this there are a number of lovely independent and well known high street shops. The town centre also boasts a number of lovely places to stop for tea and coffee, as well as a range of restaurants and pubs. Twinlakes Park offers a great day out for the family with water rides, animals and picnic areas to enjoy. Melton Carnegie Museum is well worth a visit and both Melton Country Park and Wilton Park offer great open spaces for walking. Or if you are looking for indoor activities the town has its own cinema and theatre. 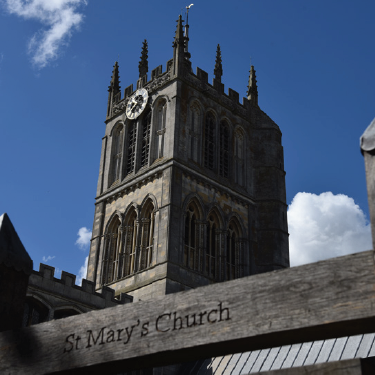 Regular bus and train services provide easy access to Leicester and Nottingham city centres and beyond and there is a train station located on the edge of Melton Mowbray town centre. The town is also well provided for when it comes to both primary and senior schools. 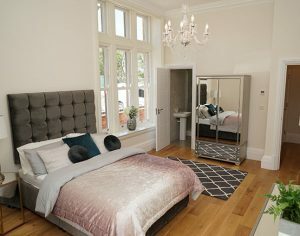 It also has some excellent sporting facilities including a range of state of the art gym activities, as well as a golf course, swimming pool, equestrian centres and a snooker club to name just a few.